I’ve done a lot of art for Arcane Kids games, and I really like the rough edges and stuff, but Donut County comes from my personal aesthetic. Before 3D, I was really into illustration & color and I tried to bring my style to 3D. There’s something automatically cute about this low-poly aesthetic. It’s an artistic direction that some might find charming. Donut County looks retro, modern, and distinctly indie all at once. 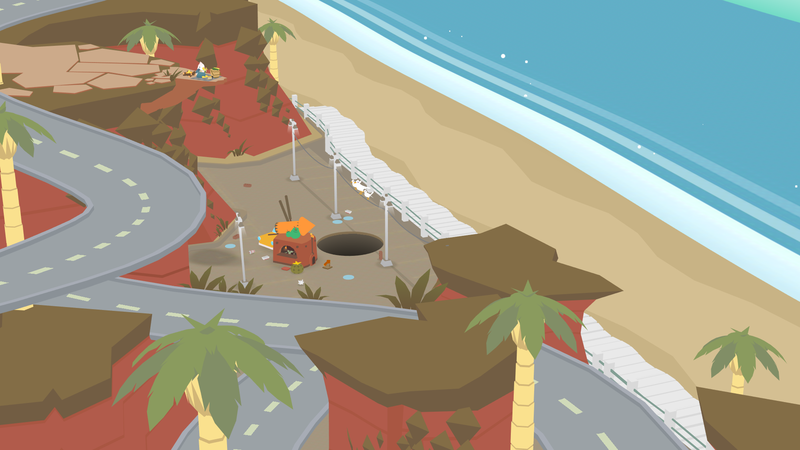 It took six years to develop Donut County, and there were plenty of struggles along the way. But the game is finally available now for the PlayStation 4, PC, and Apple iOS. We certainly think it’s worth picking up.